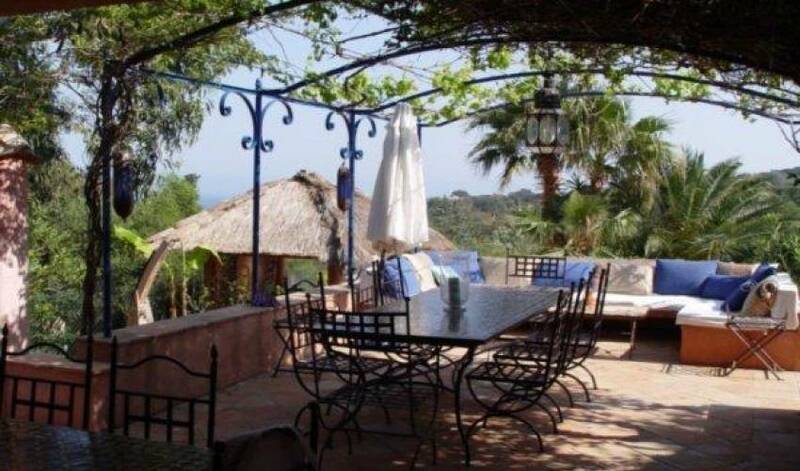 This attractive, recently built, property is situated in a superb location just above Pampelonne beach and a short walk away from the famous Club 55 restaurant. 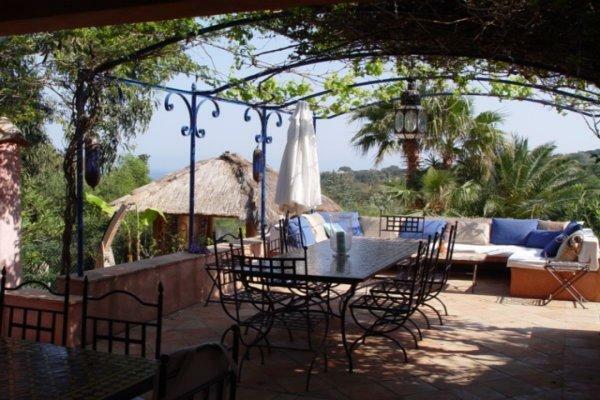 There are wonderful sea views from the house, terraces and garden. 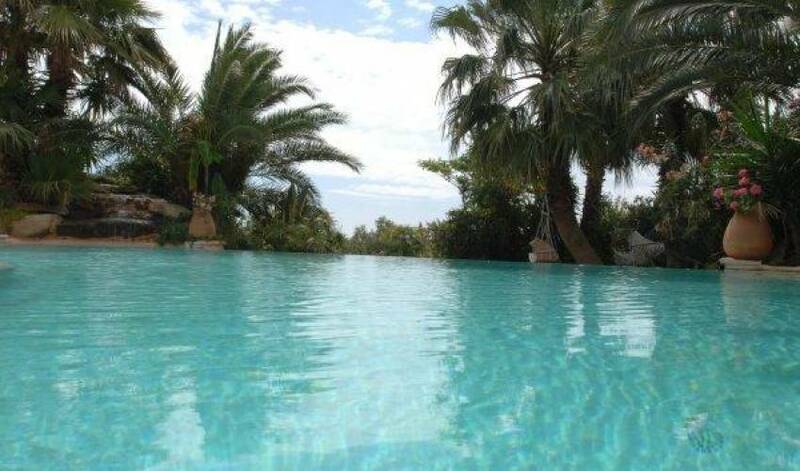 The villa is modern and spacious and decorated in a Moroccan and Indonesian style. The large open-plan living room has sliding glass windows opening onto the garden, overlooking the swimming pool and with great sea views. 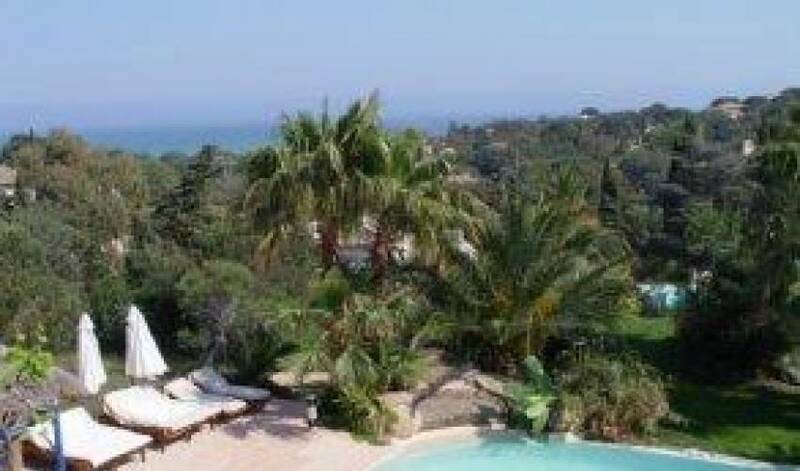 There are two double bedrooms, one with sliding glasses windows opening onto the garden, overlooking the pool and the sea, both with en-suite bathrooms and with independent access. The large master bedroom has an en-suite bath/Jacuzzi, shower room, dressing room and a home cinema, with sliding glass windows opening onto a terrace with wonderful sea views. 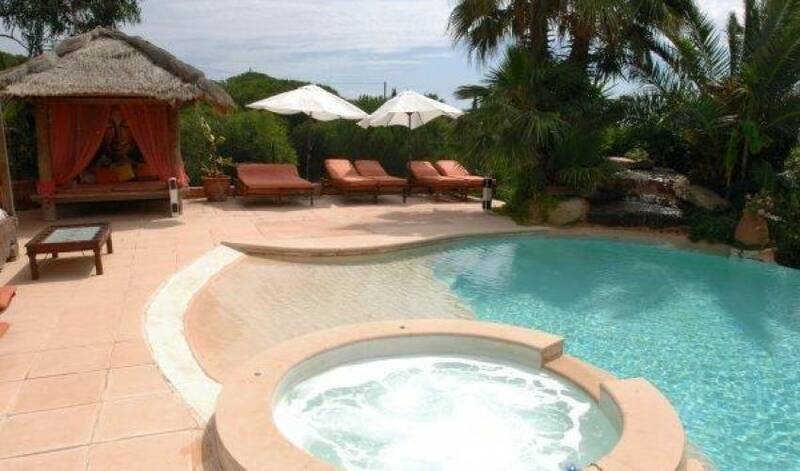 The villa is equipped with air-conditioning and flat screen TV in all rooms. Outside there is a large parking area for several cars. 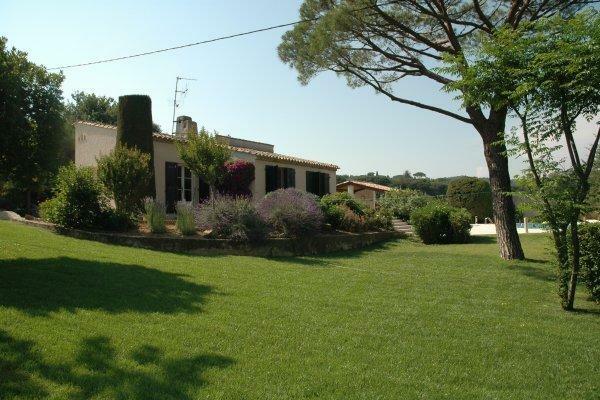 This is a truly exceptional property for those who wish to be in the thick of the action on Pampelonne beach, and 10 minutes drive to all the attractions of St-Tropez. 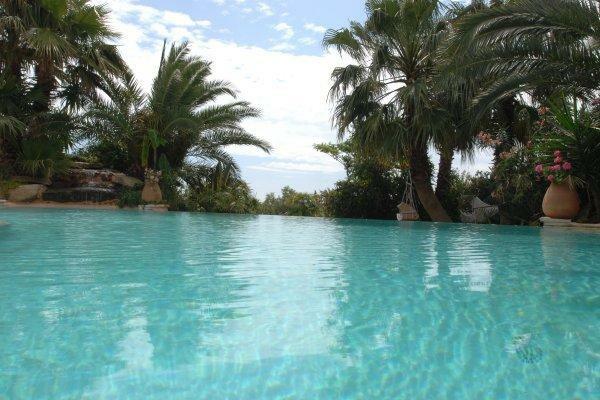 1 double bedroom with en-suite bathroom, 1 double bedroom with sofa, en-suite bathroom with Jacuzzi, sliding glass windows leading to the garden and the pool. Both have independent access, flat screen TV and A/C. Large living room with fire place, flat screen TV and Home cinema. Sliding glass windows leading to a large covered terrace with dining and sitting area, the garden and the pool - Sea view - American kitchen, all renovated, fully equipped with sliding glass windows opening to the covered terrace. 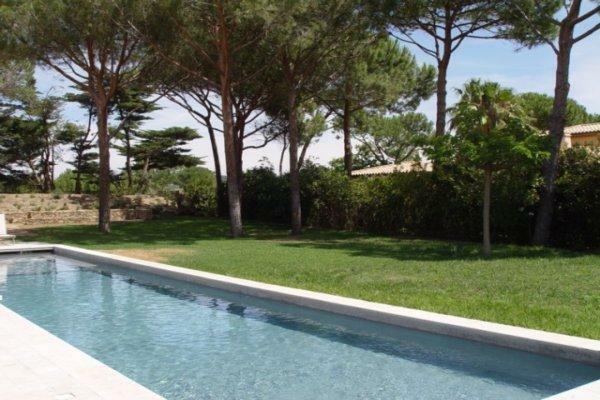 Nearest beach - Pampelonne 2 min. 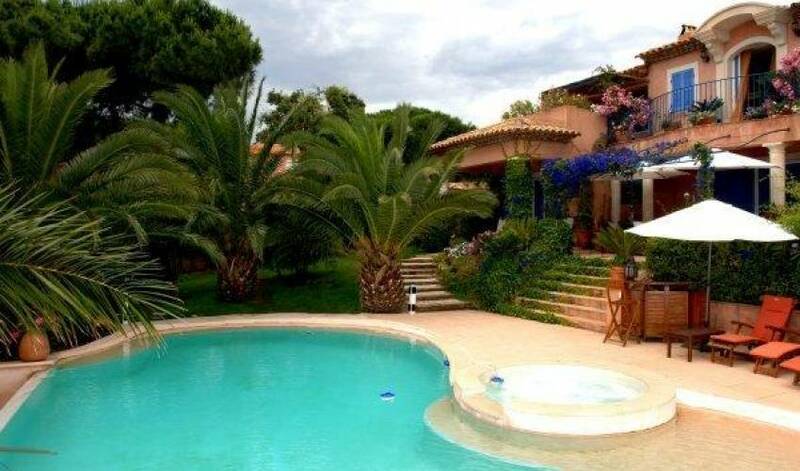 Nearest airport - Toulon/Hyères 60 min. / Nice 90 min.